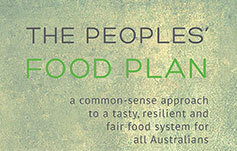 The Australian Food Sovereignty Alliance's (AFSA) Peoples' Food Plan has received coverage in the January-March 2014 edition of ReNew magazine, the long-running publication of the Alternative Technology Association (ATA). See page 10. 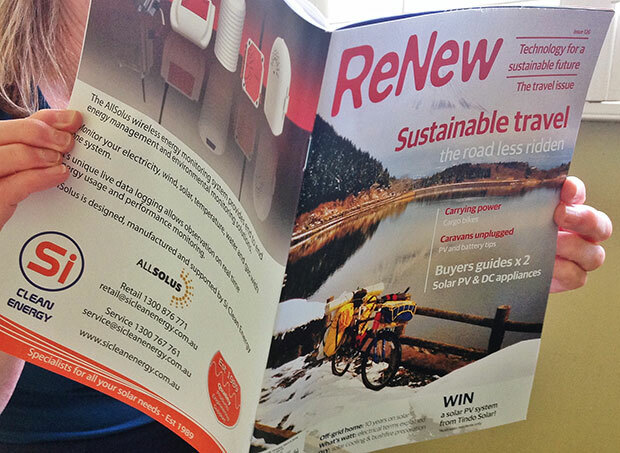 The issue focuses on sustainable travel and is sure to have appeal to the nomads among us. The ATA perhaps Australia's long-running technology enthusiast-based organisation of its type and for some time now has been an advocate for renewable energy technologies. ReNew, their quarterly journal, was once called Intermediate Technology after EF Schumacher's (credited with inventing the concept) name for what we now call 'appropriate technology'. It changed its name after the computer industry co-opted 'IT' to describe its own technologies. The magazine carries authoritative reports, assessments and research into renewables. The significance in ReNew's half column report of the AFSA's food plan lies in its appearance in a magazine that is focused on technology and suggests that the editor sees sustainability in its broader context of which food is a part. ...Russ Grayson, Sydney, 4 January 2013. FRESH, good and fair food needs a fresh, new and innovative event to demonstrate its value to all Australians. That’s why we – the Australian Food Sovereignty Alliance – are bringing together communities, social entrepreneurs, creative and passionate individuals, smart food businesses and local governments across Australia to celebrate the work of Australia’s fair food pioneers – the women and men doing the vital work of creating a fairer food system for all of us. "It's a new national event, Fair Food Week", said Australian Food Sovereignty Alliance spokesman, Nick Rose. Across the country during Fair Food Week (19-25 August, 2013) there's a wonderful diversity of events that will attract, inspire and entertain you: food forums, food workshops, food films, farmers’ fairs, food swaps, community garden and farm tours, and more. AUSTRALIA'S FIRST FAIR FOOD WEEK IS COMING! Get involved — plan your event now — and share it with everyone. It's time to speak up for what we believe in: fairness across every aspect of the food system, from the soil and its micro-organisms; to the plants and animals; to the farmers and food workers; to food processors and independent retailers, chefs and cafes; for those on low incomes who struggle to afford good food, or to buy enough food - for children, women and men all over this country and all over the world who are suffering because of an unjust food system. Let's make this week a big statement to say that something different and better is possible, and we're part of creating it. TO POST YOUR EVENT AND SHARE IT, please register at PLEASE REGISTER AT www.fairfood.org.au, then click the 'ADD EVENT' tab on the top (orange) bar, and complete the online form. Costa on The People's Food Plan from Paul Bishop on Vimeo.